For the 7th consecutive year, Anglia Tool Centre has achieved the Gold Trusted Service Award from Feefo! The award recognises outstanding customer service, as rated by real customers that have provided genuine reviews of their shopping experience with Anglia Tool Centre. 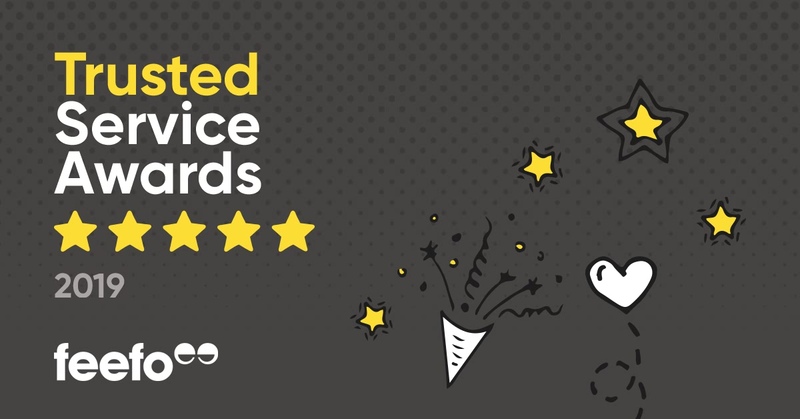 Created by Feefo, Trusted Service is awarded only to businesses that meet the highest standard, based on the number of reviews collected and the average rating. The accreditation is unique, as it is based purely on the interactions with real customers, as all reviews are verified as genuine. The accreditation is a true reflection of our commitment to outstanding customer service. Learn more about what being a Trusted Service Award winner means here. Feefo is an independent review platform that collects real reviews from genuine customers. Feefo ensures that all feedback is authentic and matches legitimate transactions. This increases consumer confidence and provides us with invaluable insight into which areas we can improve. You can read our latest customer service reviews here. If you are not a customer but would like to provide feedback of your experience with Anglia Tool Centre, please send us a message here.